Switchgear for converting quads for the road. 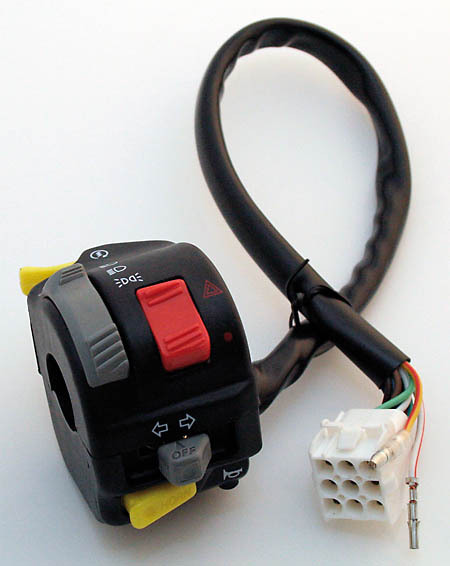 They come with start button, side, main and full beam positions for lights, horn, indicator switch and hazards. Comes with approx 16 inch of cable and a universal plug that may not be compatible with existing plugs.